Sometimes as moms, we can get stuck in a rut. We work so hard to be the best moms we can be, the best partners we can be, and the best women we can be for ourselves and our families. It’s about time you found The Joy again in everything you do. A big part of that is planning for it and focusing on what we want our days, months, and years to feel like. This is more than just a planner. It’s also a journal to guide you on reflecting on what you have accomplished and where you want to go. As an entrepreneur, founder of FIT4MOM, author, and speaker - I have cultivated a structure around how I create my reality and I want to share that with YOU! Imagine knowing that you knew exactly what your Minimum Effective Dose for Self Care was & had your MITs planned in advance…. As moms, we often forget to put on our oxygen mask first. Scrambling to take care of others - when we need to S-L-O-W DOWN and find the joy in our day. These pages are fully customizable where you can plan, design, reflect, and detail out what you need as a mom to find more strength in motherhood and then help you create a plan to design a life you love to live. The beauty of this is that this is digital, so we’ve made it easy for you to access the Joy Of Living Planner + Journal and customizable so you can keep it in your own custom notebook, folder, or binder of your choosing. When we reflect on all that we have done, all of the lives we have touched, and all the love we’ve given, we can only create more joy for ourselves and others. Our thoughts truly do become things. 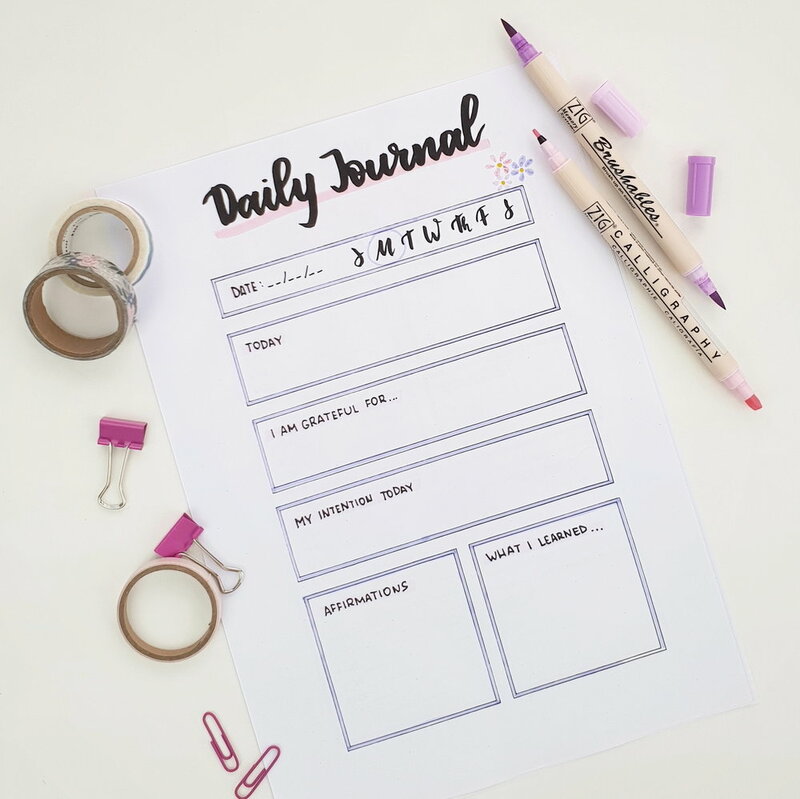 The Daily Journal sections provide a space for you to share…. Where will you be with your life a year from now when you can reflect on where you’ve been and where you want to go? That insight may pave the way to more dreams and desires that you have made happen - all because you took the 5 minutes a day to reflect on where you have been to create a new future. My signature habit tracker helps you track the things you want to stick to and create as your #newnormal. Maybe for you that is……. Whatever you can dream or envision, you can accomplish! These are just some of the pages in The Joy of Living Planner + Journal as I have packed it full of pages that will help you create a life you LOVE to live! Click below to ORDER your digital download NOW! You’ll also get access to The Joy of Living Experience (including videos!) on how to make each section work for you!